The session work with other players here isn’t quite as good as the material on the first anthology, but An Anthology, Vol. 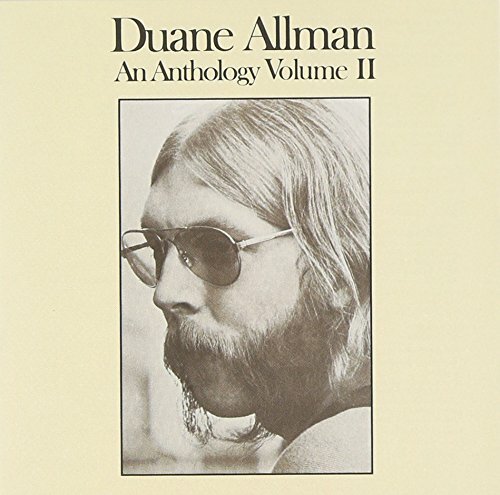 2 does feature a live cut by Delaney & Bonnie, plus a pair of what were then previously unissued Allman Brothers Band live tracks (among them “Midnight Rider” from the Fillmore East in June 1971). There’s another good Duane Allman solo number and a good Hour Glass track (“Been Gone Too Long”), more session work with Aretha Franklin and King Curtis, Ronnie Hawkins(“Matchbox”), Wilson Pickett (“Born to Be Wild”), Johnny Jenkins, Boz Scaggs, Sam Samudio, andOtis Rush. The annotation here isn’t as thorough as it was on the first volume, but anyone who owns the first double-CD set will almost certainly have to own this one as well, and for a mid-priced set there’s a lot of very good music.